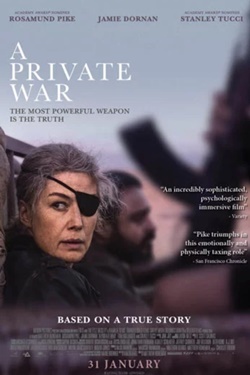 A biographical drama film on one of the most celebrated war correspondents, Marie Colvin. 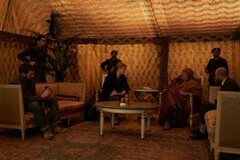 When she is not downing martinis with society`s elite, she is brazenly staring down warlords and escaping from gunfire. 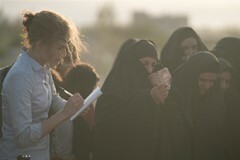 In order to give voice to the voiceless, this rebellious spirit often charges fearlessly into danger, going to the frontline of conflicts across the globe.